For all intents and purposes, a tactical knife is what is commonly known as a combat knife. It is also called a fighting knife. 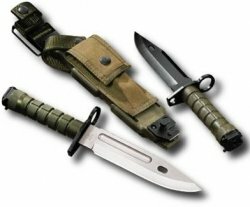 The military perfected the use of the tactical knife for soldiers to use when they are engaging in close or hand to hand combat. The tactical knife is often called a combat knife. 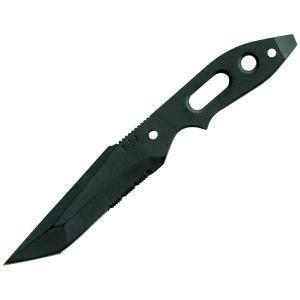 The tactical knife has a long history, and was the weapon of choice to use in combat situations. Tactical knives are of course still used for fighting, but they have been reinvented to meet the needs of the solider, outdoors person, or something to use around the house. Why Choose a Tactical Knife? The main reason is for working outdoors. A soldier stationed in a jungle or wooded area would need a tactical knife to do things such as cutting branches, cutting through or trimming brush. The knife can also be used to hunt for food, and of course to protect oneself. The tactical knife can be used in any of these situations. Perhaps you are not the outdoors type person hunting in the woods. A tactical knife is still a good thing to have if you for instance live on a farm. You could be someone who makes their living working outside. The tactical knife is great for completing simple chores such as cutting wires, ropes, or lines. 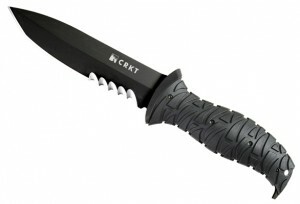 There are a variety of different tactical knives available and different models for people to choose from. When looking for a tactical make sure you are getting a good quality knife. Look for a good steel blade, and all the safety standards you feel you will need with your tactical knife. If you choose a knife which folds make the sure the knife has a very good locking mechanism. If you choose one which is non-folding, you will need to get a good holster to keep your knife in.